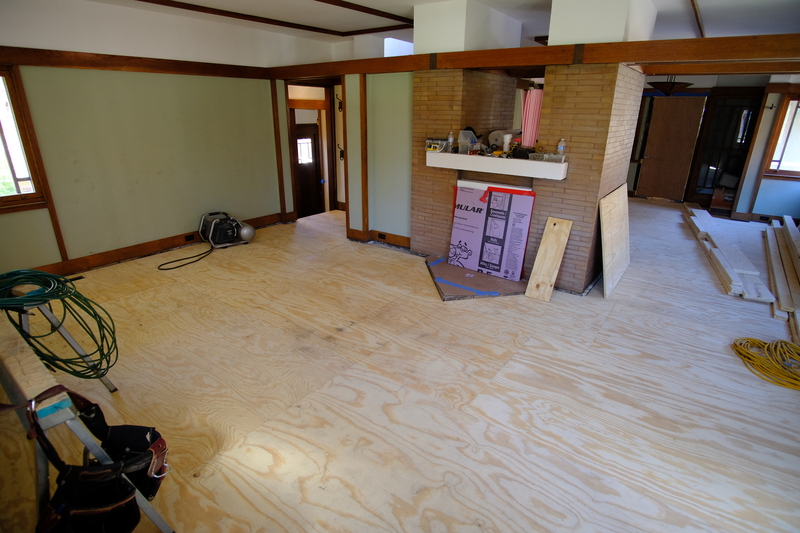 With the demolition complete, our focus now turns to how to put things back together. Photo taken in our old kitchen, looking up into what was a bathroom. 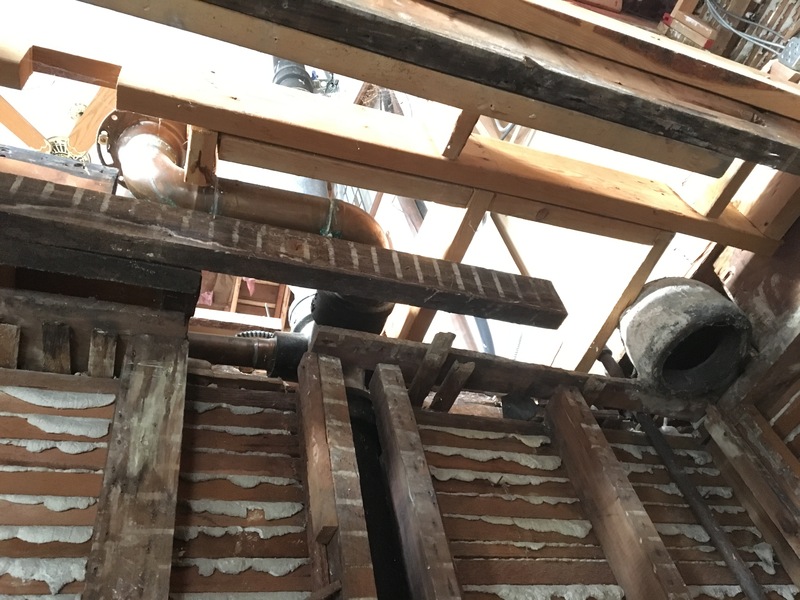 Visible in this photo is a floor joist that was cut to make way for an asbestos-covered vent. 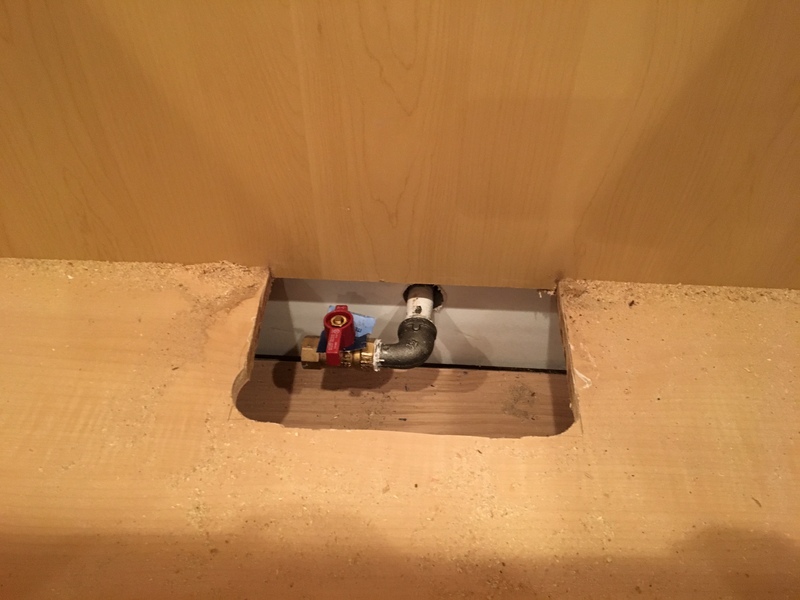 Kitchen updates – plumbing, panels, trim, hood, tile, electrical – whew! 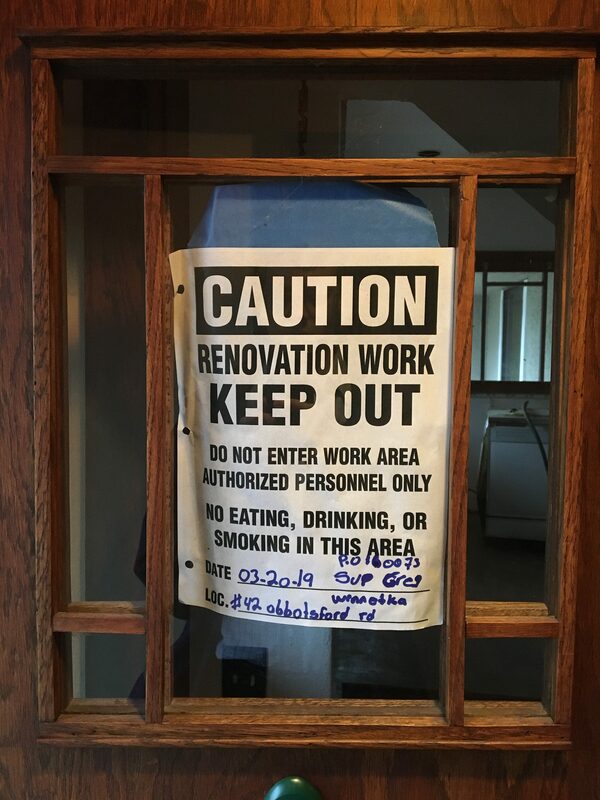 There are a lot of updates to report on the addition. We have plumbing fixtures! We have panels! We have (some) trim! We have a tile backsplash! 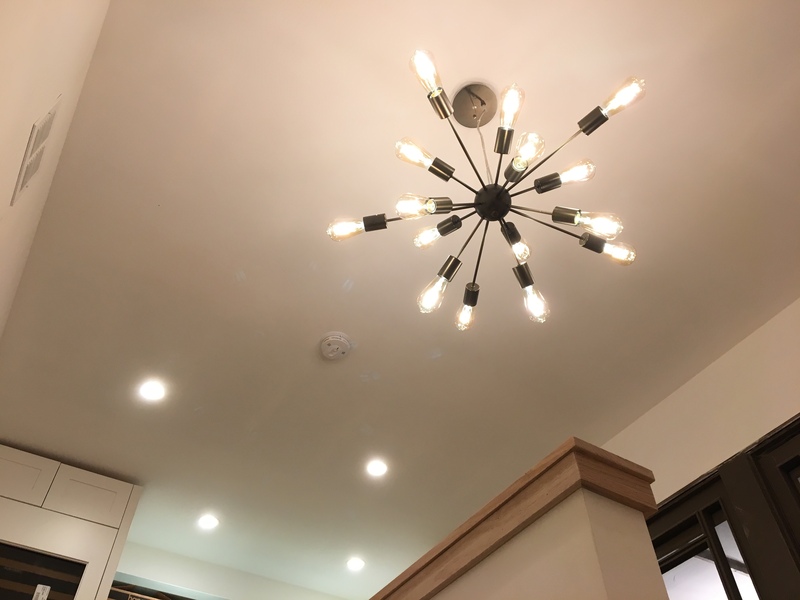 We have light! 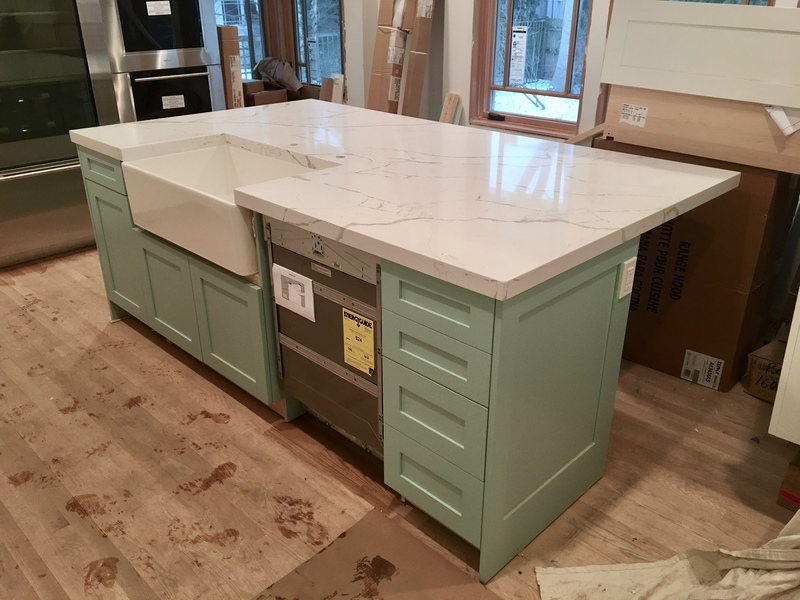 Author BenPosted on February 11, 2019 Categories Addition Update, KitchenTags appliances, electrical, panels, plumbing, trimLeave a comment on Kitchen updates – plumbing, panels, trim, hood, tile, electrical – whew! 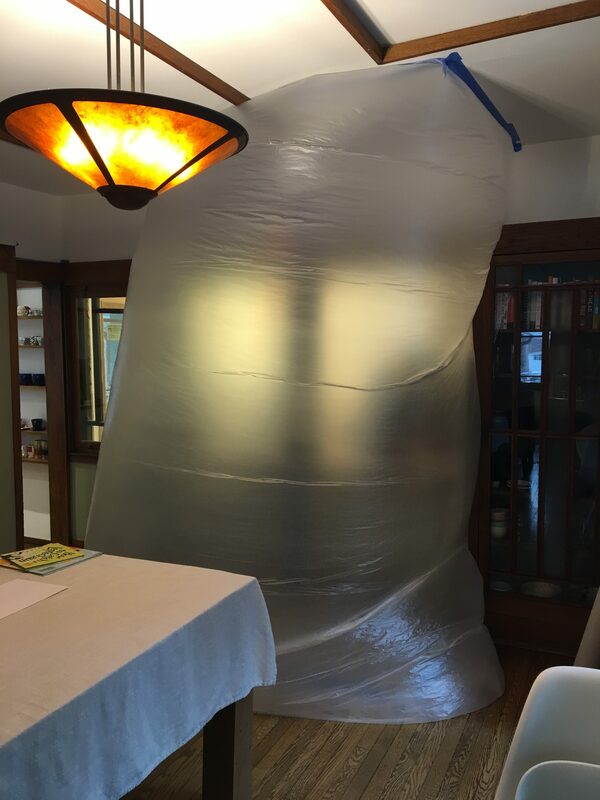 About one year ago, last February, we had some terrible ice dams and roof leaks. We signed the contract with the roofer in March. The roofing project began in June. The second floor roof was completed in August. Significant progress was made in September and October. 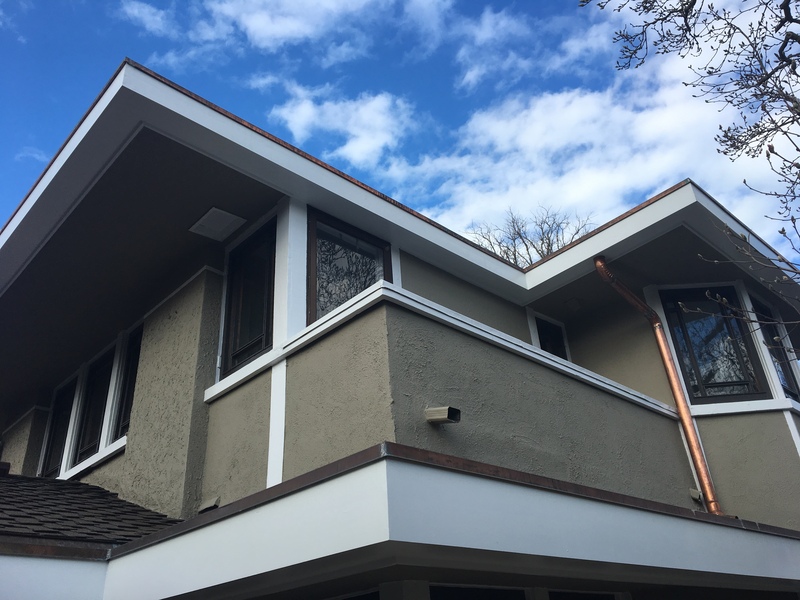 Yesterday, Friday January 18, 2019, was the epic conclusion of our 10-month-long roofing and gutter project. Yes, believe it or not, the project took exactly 300 days to complete. Few things are more dramatic than seeing countertops installed after a long, problematic, over budget, and delayed construction project. 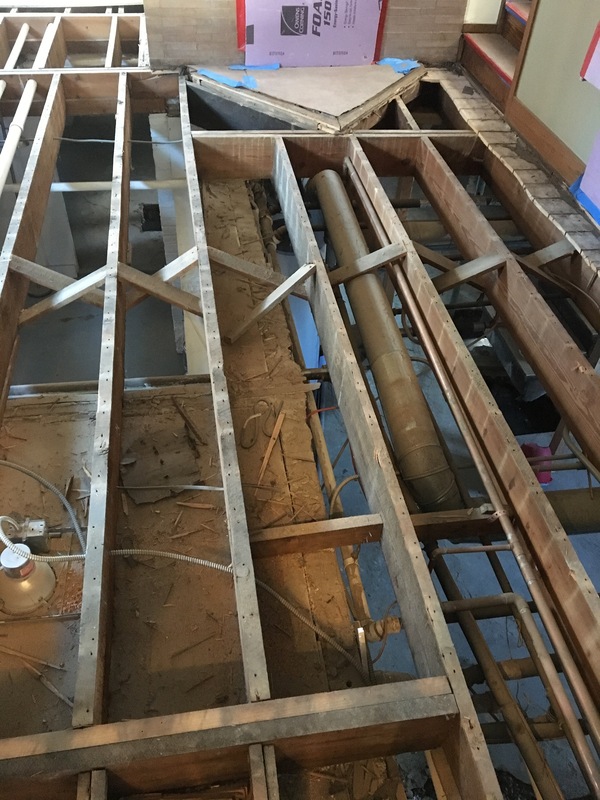 Our builder made a lot of progress preparing for appliance installation, which included installing water and gas valves, electrical circuits, and protecting some floors.